at the foundation of being civilized. feeds us” is in trouble today. The severity of this situation has only worsened for everyone. themselves to help in any way we can. and Everyone is welcome to come help however they can. It will go a long way for a farmer to live happily and in return it back to us as a meal on table for our family. The ending of this beautiful and purposeful journey was planned for the 2nd of October on Gandhi Jayanti. 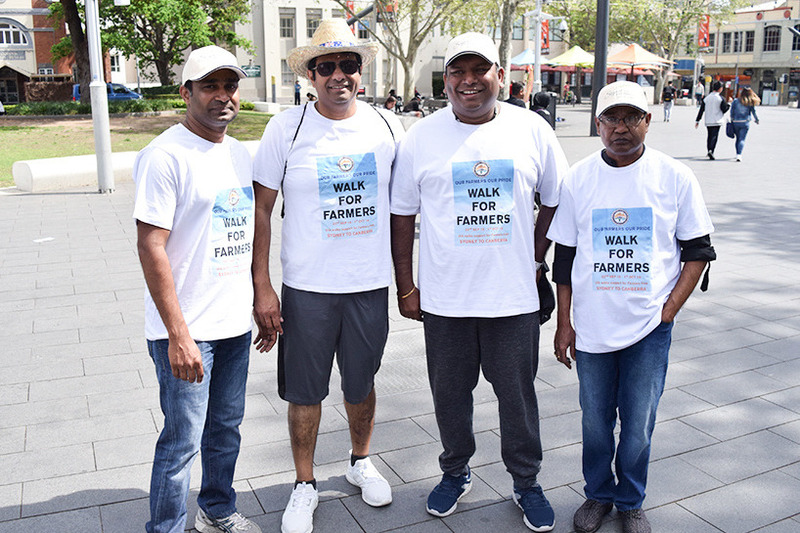 What better day to end a Gandhian style peaceful march for our Australian Farmers. The highlight of yesterday was the reception hosted by FINACT at the Legislative Asssembly of Canberra. 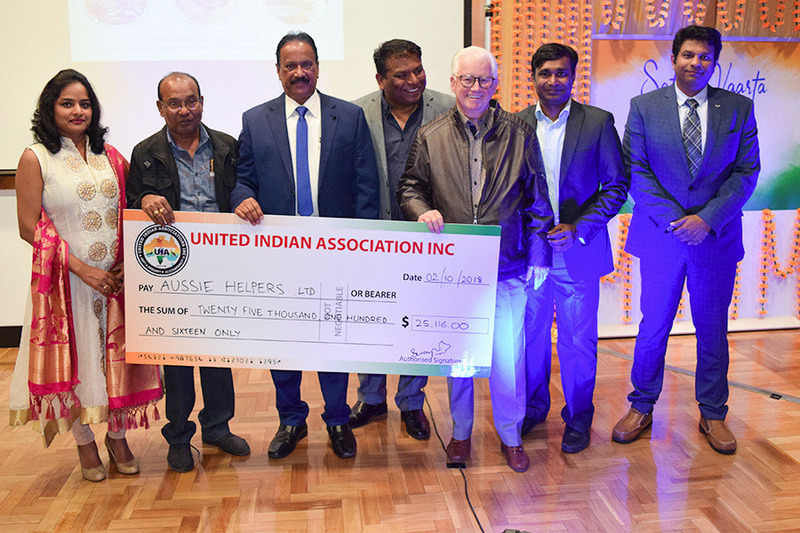 The guest of honour attending was none other than His Excellence Dr. Ajay Gondane, High Commissioner of India in Canberra. A big Thank You to FINACT for donating a generous amount of $5000 towards to the cause. 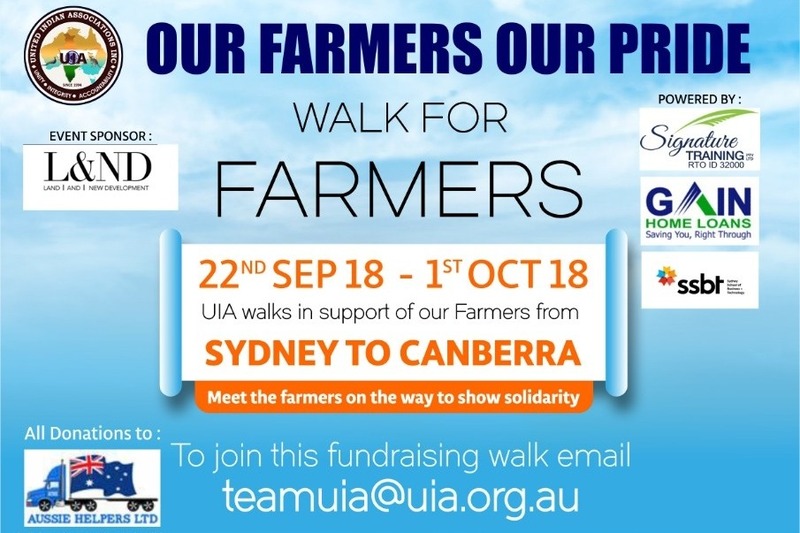 We as a team #WalkForFarmers from UIA raised $25116 as the total amount of donation for the farmers. A big shout out to Oh Canberra for their great food at the reception. Here we end this journey but we shall continue to strive to help the community however we can and hope to have all of yours continued support. Today at our final destination-CANBERRA! We have ended our walk on a very auspicious day of Mahatma Gandhi Jayanti. 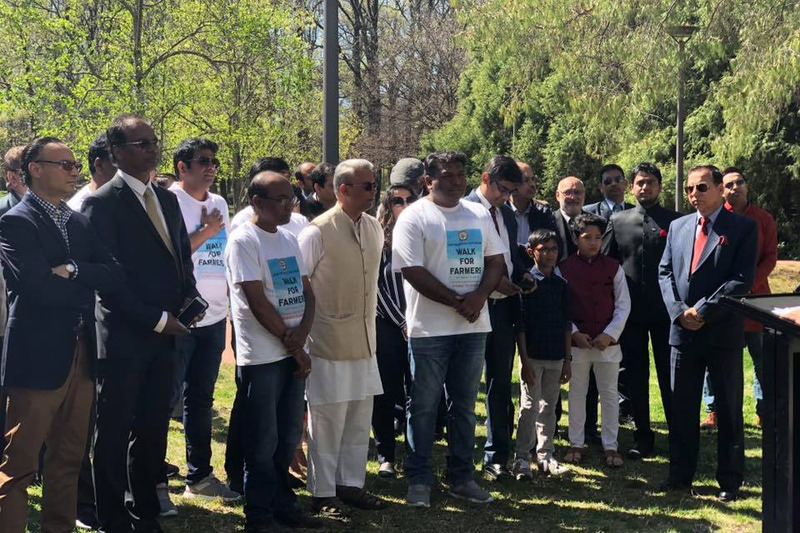 Hence we chose to end our this peaceful march #WalkForFarmers in front of the Mahatma Gandhi statue at Glebe Park in Canberra. Dr Ajay Gondane, High Commissioner for India for attending this small get together and sharing his inspirational thoughts paying tribute to Mahatma Gandhi on his 150th anniversary. Helping our farmers in this time of need was our way of trying to give back to the community. Today we can finally say that we as a team have made a difference. The final day of any journey is always an important one. Today the walkathoners embarked on their last leg of their journey. Keeping in mind that this mission is to help the farmers the team went on to interact with many of the farmers along the way. The farmers explained their plight in this time of need where a vicious circle was started by this period of doubt. 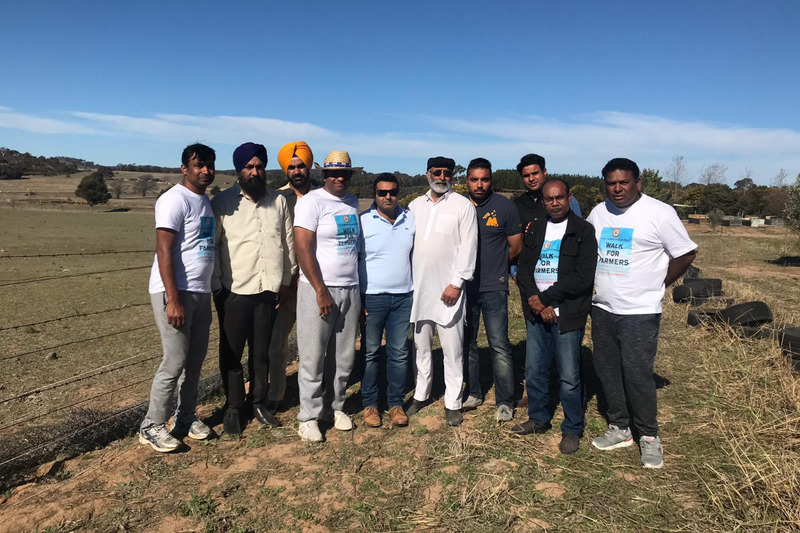 We can proudly say that the teams mission to spread awareness and help collect funds for the farmers in need has been a successful one. A big shout out to local authorities for all their help.Looking forward to all of yours continued support. The team has almost reached the end of their journey. 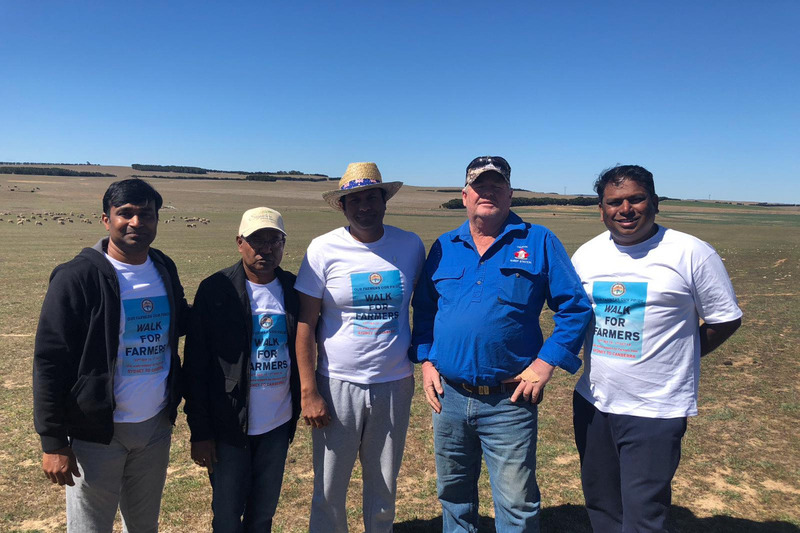 On day 9 of their journey the walkathoners walked from Goulburn towards Collector. They were joined on the walk by Manjait Chopra from FAME events who also contributed towards the cause. The team went on to meet and speak with many local farmers along the way who explained what the actual on ground situation for the farmers has been in this drought. Giving us a background on what they have going through. Come help the Australian farmers in this time of need. Looking forward to all of yours continued support.